The perfect after-dinner treat, afternoon tea or coffee accompaniment, or a sweet indulgence anytime. Your biggest problem will be stopping at one! Extra cacao, coconut or ground nuts for rolling. Remove tofu from tub, place in a bowl and press down on the tofu block with the palm of your hand to squeeze out excess water to drain off. Whizz the drained tofu, 3 tablespoons coconut sugar, 3 tablespoons raw sugar, banana, coconut flour and vanilla essence in bullet or food processor until really smooth. Stir through cocoa nibs or choc chips, crushed sweet biscuits and add the extra tablespoons of coconut sugar and raw sugar. Take tablespoon size portions of the mix and roll into ball shapes. 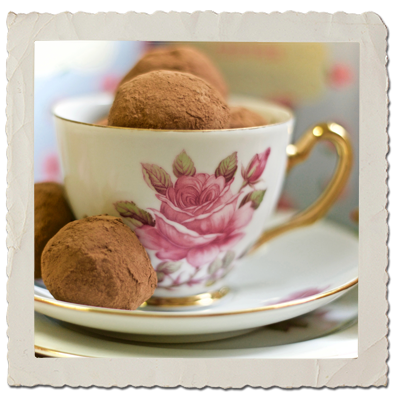 Place cocoa/cacao powder or dessicated coconut into a bowl, place in a few balls in at a time and roll to coat.